A couple of weeks ago at New York’s Metropolitan Museum of Art, several hundred people went to their feet to applaud a speech delivered by David H. Koch. The occasion was the opening of the Met’s new façade on Fifth Avenue. It runs four city blocks, and is complete with new fountains, paving, lighting, landscaping, and seating areas for visitors. Mr. Koch contributed the entire $65 million cost of the project, which took years to complete. And the people kept applauding. For several minutes. They wouldn’t stop in their gratitude for Koch’s generosity toward New York and one of the world’s great museums. No matter that right across the street, on the southwest New York border, Pennsylvania is enjoying unrivaled prosperity from the clean fracking operations okayed years ago. It’s like contrasting the success of West Berlin with the grim austerity of East Berlin back in the Cold War. Writing in the Wall Street Journal, Dr. Steven Koonin, undersecretary for science at the Energy Department during Obama’s first term, said, yes, the climate is changing. And yes, humans are impacting the climate system, though only 1 to 2 percent of it. But he stated that most climate-change models not only missed the temperature flattening of the past 16 years, they do not capture a huge factor, like oceans, or water vapor, cloud formation, and rainfall. Let’s turn back to David Koch. His extraordinary philanthropy illustrates how America’s free-enterprise system creates massive wealth, which is then channeled to the public good by civic-minded people who have their hearts in the right place. Koch has contributed roughly $1.3 billion to charity for medical research, education, culture, the arts, and policy studies. It’s an incredible story. Besides the Met museum, he just announced a $100 million donation to New York Presbyterian Hospital. He’s given $185 million to MIT, and another $100 million to Lincoln Center. The list goes on and on. At the end of that speech at the Met, David Koch said he hoped his legacy would be that he “did his very best to make the world a better place.” That legacy is firmly in place. Robert Kennedy Jr. should be ashamed of himself. Blissfully unaware of the scientific facts and existing solely in his self-centered world, he insults one of America’s great benefactors and stains the greatness of his uncle, John F. Kennedy, and his father, Robert F. Kennedy. 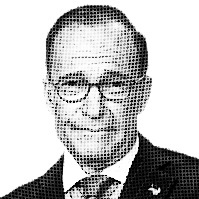 — Larry Kudlow is economics editor of National Review.